Large Memo Pads from The Desk Of 3823 At Print EZ. Large Memo Pads from The Desk Of Item No. 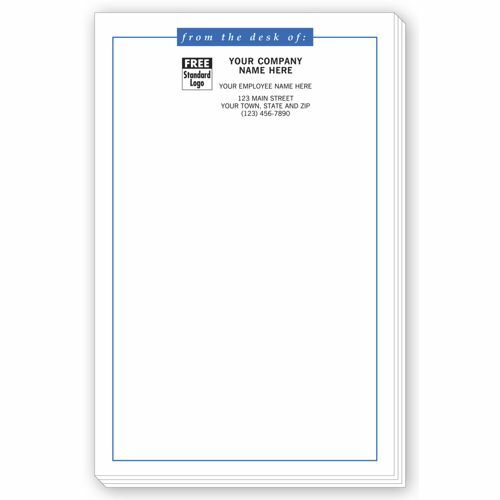 3823 Size: 5 1/2" x 8 1/2"
Be it short hand written note or a longer instruction for the entire team, you can use our large memo pads from the desk of, for it all. Printed using 20# bond paper, there are 100 sheets per pad, which makes them very good value for money. 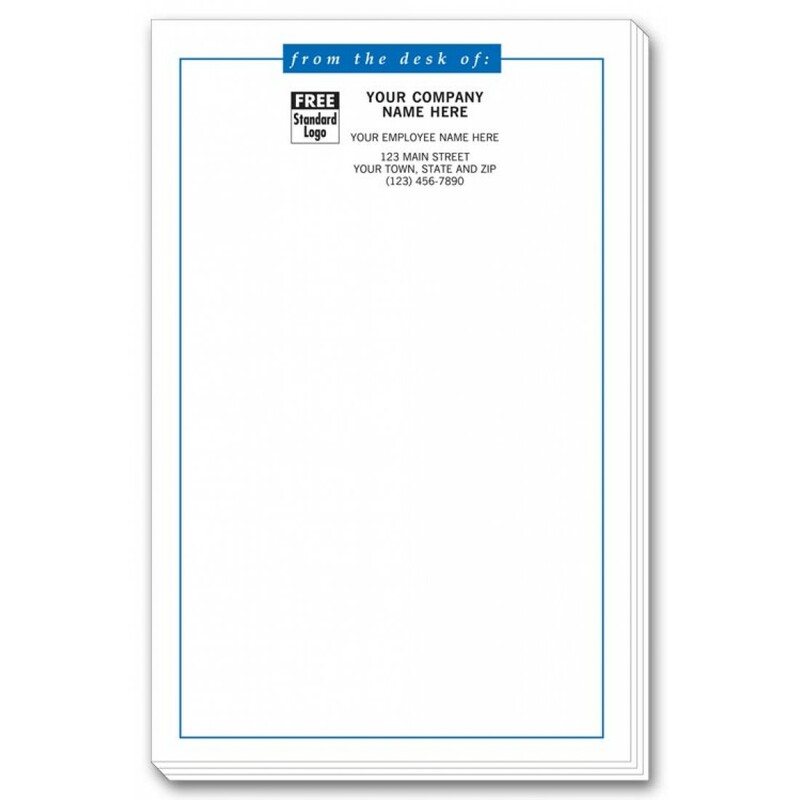 Not only are these memo pads handy to use, they can also be stored with great ease. Brand these pads with your company name, logo and address to lend them an official appeal that makes them more credible and also identifies them as stationary for your company. Order now to enjoy these versatile pads and make your work simpler.